The Mountain-Prairie Region of the U.S. Fish & Wildlife Service consists of 8 states in the heart of the American West. Regional Priorities for the Mountain-Prairie Region show where we will focus time and resources. We are nature! 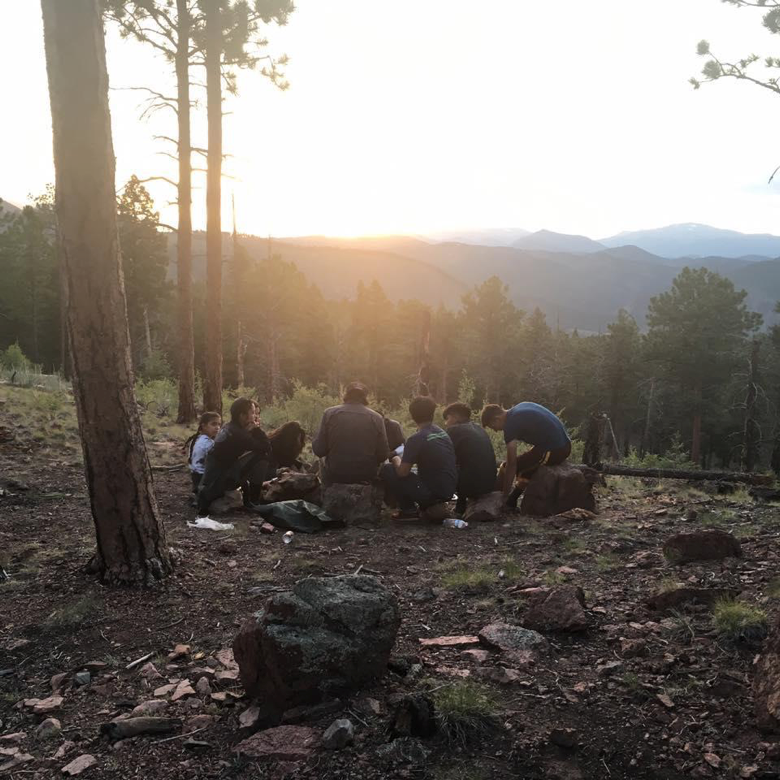 Here we aim to meet people where they are and connect them with nature in new ways. DENVER — Since 1908, when the National Bison Range in western Montana was established by conservation visionary President Theodore Roosevelt, this cherished 18,800-acre national wildlife refuge has continued to play a vital role in the conservation and recovery of American bison. Several hundred bison now thrive on these accessible public lands, which also support Rocky Mountain elk, mule deer, white-tailed deer, pronghorn, bighorn sheep, and over 200 bird species. Last week a large winter storm known as a "bomb cyclone" brought snow, wind and rain to the central plains. One hard hit area was the State of Nebraska where run off and rising stream and rivers are flooding many parts of the Cornhusker State. Despite the challenges these flood waters have created for communities and citizens, employees of the U.S. Fish and Wildlife Service, Rainwater Basin Wetland Management District (WMD) have found a way to help their neighbors. A map of the proposed R-line route. Credit: USFWS. DENVER — Today the U.S. Fish and Wildlife Service is releasing the final environmental impact statement for the Nebraska Public Power District’s (NPPD) application for a permit for take of the endangered American burying beetle. The statement analyzes potential effects to the beetle and other factors to the human environment that would result from issuance of a take permit associated with the proposed R-Project transmission line. Frisco clover. Photo by USFWS. DENVER — Using the best available science, the U.S. Fish and Wildlife Service has released a 12-month finding, determining that the Frisco buckwheat, Ostler’s peppergrass, and Frisco clover are not warranted for listing under the Endangered Species Act. Prior to making this determination, the Service completed an in-depth species status assessment for these three southern Utah plant species. This assessment provided the scientific analysis needed for the Service to make this decision. Fremont County rockcress. Photo by Bonnie Heidel. DENVER — Due to the Bureau of Land Management’s conservation actions, the U.S. Fish and Wildlife Service has determined that the Fremont County rockcress, a high elevation perennial herb found only in the southern foothills of the Wind River Range in Wyoming, is not warranted for listing under the Endangered Species Act. First collected in 1981, there is only one known population of this unique plant found on 160 acres of federal land. Deseret milk-vetch. Photo by Bekee Hotze, USFWS. DENVER — After assessing the best scientific information about threats to an endemic Utah plant, the U.S. Fish and Wildlife Service today is removing the Deseret milkvetch from the Federal List of Endangered and Threatened Species. The Service found threats to the plant either have not occurred to the extent anticipated, are being adequately managed through a conservation agreement, or the species is more tolerant of these stressors than originally known. Razorback sucker, photo by USFWS. DENVER — The razorback sucker, a native fish found in the Colorado River basin is making a comeback thanks to the work of conservation partnerships between the U.S Fish and Wildlife Service (Service), states, federal agencies, Tribes, industry and environmental groups. The Service recently completed a species status assessment (SSA) and a 5-year status review, utilizing the best available science, that concluded the current risk of extinction is low, such that the species is no longer in danger of extinction throughout all of its range. The SSA explained that large populations of adults have been re-established in the Colorado, Green, and San Juan Rivers. Populations are also present in Lake Powell, Lake Mead, Lake Mohave and Lake Havasu. As a result, in the future the Service proposes to reclassify the fish from endangered to threatened. The landscape photo is of the New 13 acre easement, photo by Simi Batra/USFWS. CONEJOS COUNTY, COLORADO — Today, the U.S. Fish and Wildlife Service accepted a 12.82-acre conservation easement donation in Colorado’s San Luis Valley from Western Rivers Conservancy. With the donation, the San Luis Valley Conservation Area becomes the 567th unit of the National Wildlife Refuge System, an unparalleled network of public lands and waters dedicated to the conservation of native wildlife and their habitats. DENVER – Today the U.S. Fish and Wildlife Service (Service), as part of the 2018-2019 Refuge-Specific Hunting and Sport Fishing Regulations process, proposes to expand hunting on over 13,000 additional acres at the Bear River Migratory Bird Refuge (Refuge) in Utah. These additional areas would be open to waterfowl and pheasant hunting and would align with State regulations for these species. Details on the proposed alternatives for these additional hunting areas are available on the Refuge’s website. The Service aims to make a decision regarding these hunting areas in time for the 2018-2019 hunting season. Colorado butterfly plant. Credit: Allison Michael. DENVER – Thanks in large part to successful partnerships with landowners that have helped recover the species, today the U.S. Fish and Wildlife Service announced plans to remove the Colorado butterfly plant from the Federal List of Endangered and Threatened Plants and to remove designated critical habitat. The species is a member of the evening primrose family and is found primarily in southeastern Wyoming, northcentral Colorado, and western Nebraska. Two grizzly bears. Credit: USFWS. Kalispell, MT — The U.S. Fish and Wildlife Service and Montana Fish, Wildlife & Parks are seeking information on the shooting death of a sub-adult male grizzly bear found dead on Forest Road 4859 in the Kootenai Forest, north of Libby in Northwest Montana. Read the full press release below. Arctic grayling. Credit: Courtesy of Mark Conlin. DENVER - The U.S. Fish and Wildlife Service is seeking public comment on a draft Environmental Assessment and Candidate Conservation Agreement with Assurances (CCAA) to help conserve Arctic grayling in the Centennial Valley, Montana. The Centennial Valley CCAA is designed to improve living conditions for this freshwater fish through habitat restoration and other voluntary conservation projects. These actions are expected to increase the distribution of the species, which will help support ongoing conservation efforts. DENVER - The U.S. Fish and Wildlife Service (Service) announced today the availability of the final Grizzly Bear Recovery Plan Supplement: Habitat-Based Recovery Criteria for the Northern Continental Divide Ecosystem (Recovery Plan Supplement). The final Recovery Plan Supplement provides objective, habitat-based criteria for the recovery of Northern Continental Divide Ecosystem grizzly bears, and builds upon the existing roadmap to grizzly bear recovery for the Service and our conservation partners. DENVER - The U.S. Fish and Wildlife Service (Service) today released the final Supplemental Environmental Impact Statement (SEIS) for the Montana Department of Natural Resources and Conservation’s (DNRC) application to amend an incidental take permit to add 81,416 acres to their Habitat Conservation Plan (HCP). Adding these lands to the HCP would increase the level of anticipated take of grizzly bear, Canada lynx, bull trout, and westslope cutthroat trout from forest management activities and would require an amended permit from the Service. DENVER - Today, the U.S. Fish and Wildlife Service (Service) is announcing the availability of a Finding of No Significant Impact (FONSI) for a disturbance permit application for a pair of bald eagles in Broomfield County, Colorado. Garrett Construction Company LLC (Garrett) applied for an eagle incidental take permit for disturbance that may occur while constructing an apartment complex from early May 2018 through late 2019. Based on our finding, the Service is issuing an eagle incidental take permit to Garrett. DENVER - The U.S. Fish and Wildlife Service (Service) is seeking public comment on a draft Environmental Assessment for the Northern States Power Company, doing business as Xcel Energy (Applicant), for the Courtenay Wind Farm (Project). The draft Environmental Assessment evaluates the impact of issuing an eagle take permit for the existing 100-turbine wind facility located approximately 15 miles north of Jamestown, North Dakota. Pallid sturgeon. Credit: Ken Bouc, Nebraska Game and Parks Commission. DENVER -The endangered animals that call the Missouri River basin home are as iconic as the river itself, and a biological opinion issued yesterday by the U.S. Fish and Wildlife Service (Service) concludes that two shorebirds and one ancient fish found in the river and currently receiving Endangered Species Act (ESA) protections will not be jeopardized, even as in-river management activities move forward. In fact, the science-based adaptive management techniques proposed in the U.S. Army Corps of Engineers’ (Corps) Missouri River Recovery Management Plan will provide biologists with opportunities to deepen their knowledge of the piping plover, interior least tern, and pallid sturgeon in order to maximize conservation while also meeting the Corps’ obligations to other river interests. Utah prairie dog. Credit: © Laura Romin and Larry Dalton. Photo used with permission of Laura Romin. DENVER – Today, the U.S. Fish and Wildlife Service (Service) in consultation with the Utah Division of Wildlife Resources (UDWR) and affected counties released a 10-year general conservation plan (GCP) that will aid the conservation of threatened Utah prairie dogs while benefiting economic productivity in the region and reducing undue regulatory burdens. Have you ever seen a sage-grouse strut? For the fourth straight year, you can witness the greater sage-grouse dancing to find a mate on a live-streaming wildlife camera. Located on a breeding ground called a lek, these birds puff out their chests and fan their tail feathers every morning from approximately 5:00 a.m. to 9:00 a.m. PDT. You can visit The Nature Conservancy’s website to watch live and recorded footage at www.nature.org/lekcam. DENVER — Things are looking up for a rare Colorado River fish, the endangered humpback chub. The U.S. Fish and Wildlife Service (Service) recently completed a species status assessment (SSA) and a 5-year status review that concluded the current risk of extinction is low, such that the species is not in danger of extinction throughout all of its range. The SSA explained that the largest population of humpback chub, which is found in the Colorado and Little Colorado rivers in the Grand Canyon of Arizona, is a stable population of about 12,000 adults. DENVER (December 12, 2017) –The National Fish and Wildlife Foundation (NFWF) today announced $724,200 in grants to support habitat restoration and partnerships in sagebrush landscapes conservation in Colorado, Idaho, Montana and Wyoming. The grants will generate $1.1million in matching contributions for a total conservation impact of more than $1.8 million. DENVER – In a continuing effort to increase access to hunting and fishing on public lands, the U.S. Fish and Wildlife Service today announced a final rule to open or expand opportunities across 132,000 acres on 10 national wildlife refuges. This will bring the number of refuges where the public may hunt up to 373 and up to 311 where fishing is permitted. A chestnut collared longspur, a grassland bird. Photo credit: Rick Bohn. HELENA – A new, voluntary wildlife conservation opportunity designed with Montana ranchers in mind is now open for public comment, and the benefits to five species of birds in need could be remarkable. MOIESE, Mont. – Citing safety concerns, the National Bison Range (NBR) announced today that its annual bison roundup is postponed indefinitely. The event was previously scheduled for October 2 and 3, 2017. WASHINGTON – Due to the success of conservation efforts and collaboration among a variety of stakeholders, U.S. Secretary of the Interior Ryan Zinke announced today that the Yellowstone population of the grizzly bear has been recovered to the point where federal protections can be removed and overall management can be returned to the states and tribes. The population has rebounded from as few as 136 bears in 1975 to an estimated 700 today and meets all the criteria for delisting. Press Release. PORTLAND, OR— Have you ever seen a sage-grouse strut? For the third straight year, you can witness the greater sage-grouse dancing to find a mate on a live-streaming wildlife camera. Located on a breeding ground called a lek, these birds puff out their chests and fan their tail feathers every morning from approximately 5:00 a.m. to 9:00 a.m. PDT. You can visit The Nature Conservancy’s website to watch live and recorded footage at http://bit.ly/LekCam2017..
BISMARCK, N.D. – the U.S. Fish and Wildlife Service (Service) is investigating the death of a bald eagle, which was shot near the town of Athol, South Dakota sometime before March 28th in Spink County. WICHITA, KAN. – A Kansas hunting guide was indicted Tuesday on charges of violating the Lacy Act and the federal Migratory Bird Treaty Act, U.S. Attorney Tom Beall said. Two of the guide’s employees and a hunter from Georgia also were charged. Whitebark Pine Credit: Richard Sniezko. DENVER – Whitebark pine is a tough tree surviving in poor soils, withstanding whipping winds on steep mountain slopes. Often dwarfed by exposure and hugging the ground, whitebark pine grow higher in elevation than any other pine, all the way up to the tree line in the Pacific Coast and Cascade ranges, Sierra Nevada and Rocky Mountains. Northern Rocky Mountain Fisher Credit: U.S. Forest Service. DENVER – The U.S. Fish and Wildlife Service (Service) announced today the initiation of a status review for the distinct population segment (DPS) of Northern Rocky Mountain (NRM) Fisher, to determine whether this population meets the definition of an endangered or threatened species under the Endangered Species Act (ESA). DENVER - The endangered Salt Creek tiger beetle is not only one of the worlds rarest insects but also a voracious predator that pounces like a tiger, using part of its mandibles to capture prey that is as big as it is. Wolverine walking through the snow. Credit: Steve Kroschel. DENVER – The U.S. Fish and Wildlife Service (Service) is reopening the public comment period on a proposed rule to list the North American wolverine as threatened under the Endangered Species Act (ESA). LAKEWOOD, Colo. –Both the meltwater lednian stonefly and the western glacier stonefly are tiny winged insects about the size of your pencil eraser. They live in mountain-top streams and lake outlets where the frigid waters are fed from glaciers and permanent snowfields in and near Glacier National Park, in northwest Montana. One of North America’s most endangered mammals, the black-footed ferret, took another step toward recovery this week thanks to a historic reintroduction back to the ranches where the species was rediscovered in 1981 after having been believed to be extinct. The U.S. Fish and Wildlife Service, the Wyoming Game and Fish Department and the owners of two ranches released 35 black-footed ferrets outside Meeteetse, Wyoming. DENVER, Colo. - The U.S. Fish and Wildlife Service has received five independent peer reviews on the Yellowstone grizzly bear population proposed delisting rule. The peer reviewers all agree that the Greater Yellowstone Ecosystem grizzly bear population is biologically recovered and the 2016 Conservation Strategy, which is the post-delisting management plan, is sufficient to maintain a recovered population. BRIGHAM CITY, Utah – Today, the U.S. Fish and Wildlife Service is accepting a 30-acre conservation easement donation west of Brigham City, Utah, from the Ferry Ranch and Farm family. Their contribution formally establishes the Bear River Watershed Conservation Area as the 565th national wildlife refuge. The Wyoming toad only lives in Albany County, Wyoming and was released into three properties along the Little Laramie River. Credit: Rob Mansheim / USFWS. LAKEWOOD, Colo. –In the continuing efforts to recover one of Americas most endangered amphibians, 900 adult Wyoming toads were released at three sites in the Laramie River basin on June 1st. 2015 Recovery Champion honoree Alex Diekmann holding a brown trout from the O’Dell Creek in Madison Valley, Mont. DENVER, Colo. – The U.S. Fish and Wildlife Service (Service) today recognizes two individuals and teams for their exceptional efforts to conserve and protect the nation’s rarest fish, wildlife, and plants by designating them as 2015 Recovery Champions. LAKEWOOD, Colo. – Both the Winkler and San Rafael cacti are small, yellow to peachy-pink flowering plants, which are found only in Utah. Amazingly, these cacti retract entirely into the ground during the winter and dry seasons. JENSEN, UTAH – For the past four years, the Upper Colorado River Endangered Fish Recovery Program and its partner the Bureau of Reclamation have coordinated spring releases from Flaming Gorge Dam to connect floodplain habitats along the Green River near Jensen, Utah to provide important nursery habitat for endangered Colorado River fish. Given the nature of the primary threats facing the species and the potential harm of publishing its hibernation locations, the U.S. Fish and Wildlife Service has determined that designating critical habitat for the northern long-eared bat under the Endangered Species Act (ESA) is not prudent. LAKEWOOD, Colo. – The U.S. Fish and Wildlife Service (Service) is seeking public comment on a Draft Environmental Impact Statement (DEIS) for the Power Company of Wyoming’s (PCW) Chokecherry and Sierra Madre Phase I Wind Energy Project (CCSM). The DEIS evaluates the impact of issuing an eagle take permit for the 500-turbine project to be built south of Rawlins, Wyoming. The 12,000-acre Ladder Ranch is spread over several parcels but headquartered here under Battle Mountain. Photo by Phil Taylor. SAVERY, Wyo. -- Pat O'Toole trudged through ankle-deep snow to the confluence of Battle Creek and the Little Snake River, a place where beaver trappers fought the Sioux, Cheyenne and Arapaho in 1841. A pair of California condors appear to be nesting again in Zion National Park. Park staff first observed the pair entering a cavity in Zion Canyon on Feb. 26. Since then, the pair has been regularly observed in the cavity and the surrounding area. Biologists from The Peregrine Fund, the private non-profit that releases and monitors condors, has confirmed that GPS locations and daily behavior of both parents indicate regular incubation. DENVER – The U.S. Fish and Wildlife Service, through its Cooperative Recovery Initiative (CRI), is committing $6.86 million to 16 projects across 27 states for recovery of some of the nation’s most at-risk species on or near national wildlife refuges. LAKEWOOD, Colo. – One of the most elusive rodents along Colorado’s Front Range is getting a boost on the road to recovery. The Preble’s Meadow Jumping Mouse (Preble’s mouse), which lives along vegetated streams from El Paso County, Colorado to southern Wyoming, was designated a threatened species under the Endangered Species Act in 1998. With its large hind legs and long tail, this mouse can jump many times its own body length when alarmed, but spends most of its time scurrying about through grass and other vegetation within or near the 100 year flood plain. LAKEWOOD, Colo. – The U.S. Fish and Wildlife Service (Service) will host two informational open house meetings and public hearings on the Yellowstone grizzly bear population proposed delisting rule on April 11-12, 2016, in Cody, Wyo. and Bozeman, Mont. BISMARCK, N.D. –The piping plover, a small, sparrow-sized migratory shorebird known for its melodic mating call, may benefit from increased conservation activities, thanks to a new recovery plan released today by the U.S. Fish and Wildlife Service (Service). LAKEWOOD, Colo. – The western bumble bee, like all bumble bees, is a yellow and black bee that is an important pollinator of a wide variety of flowering plants and agricultural crops in western North America. This bee has a wide geographic range that stretches down the west coast from Alaska to California and reaches as far east as Nebraska and the Dakotas. LAKEWOOD, Colo. – In response to the successful recovery of one of the nation’s most iconic animals, the U.S. Fish and Wildlife Service (Service) today proposed to remove the grizzly bear in the Greater Yellowstone Ecosystem from the Federal Lists of Endangered and Threatened Wildlife. LAKEWOOD, Colo. – The Northern Rocky Mountain fisher lives along streams in the forests of Idaho, Montana, and Wyoming. This long, bushy-tailed animal nearly disappeared from this area in the 1920s due to unregulated trapping. Fisher populations have rebounded, but new evidence suggests hunting, habitat loss, and poisoning may still be of concern. The fisher is just one of 17 other species that have been petitioned by environmental groups to list as threatened or endangered. LAKEWOOD, Colo. – One of the most endangered mammals in North America received a boost today, thanks to collaborative efforts between the federal government and the State of Wyoming. LAKEWOOD, Colo. – Two stoneflies found in high-elevation coldwater streams in and near Glacier National Park, Mont. will be evaluated by the U.S. Fish and Wildlife Service (Service) in the coming year to determine whether they warrant protection under the Endangered Species Act (ESA). On Monday, October 5, 2015, at Rocky Mountain Arsenal NWR just outside of Denver, Colorado, we reintroduced what was once, the most endangered mammal in North America, the black-footed ferret. LARAMIE, Wyo. – A deadly disease responsible for devastating global amphibian populations is threatening one of North America’s rarest amphibians, the endangered Wyoming toad. Photo of a Dakota skipper (left) and a Poweshiek skipperling (right). Credit: USFWS. The U.S. Fish and Wildlife Service today announced final critical habitat designations for the Dakota skipper and Poweshiek skipperling, two species of prairie butterflies listed under the Endangered Species Act in 2014. BOISE, Idaho – Efforts to conserve a key cold-water fish species got a boost today when the U.S. Fish and Wildlife Service (Service) released the final Bull Trout Recovery Plan, which outlines the conservation actions needed to recover bull trout (Salvelinus confluentus). DENVER- An unprecedented conservation partnership led by federal and state agencies, private landowners, industry and conservation groups has significantly reduced threats to the greater sage-grouse. The U.S. Fish and Wildlife Service has found the species remains relatively abundant and well-distributed and does not need the protection of the Endangered Species Act. DENVER- Convicted poacher and former outfitter Dennis Eugene Rodebaugh, 73, of Meeker, Colo., learned on Tuesday that his appeal to the 10th Circuit Court of Appeals has failed, affirming the 41-month prison sentence and fines the former outfitter received in early 2013 for illegally baiting deer and elk with salt. The U.S. Fish and Wildlife Service (Service) is awarding $37.2 million in grants to 20 states to support conservation planning and acquisition of vital habitat for threatened and endangered species across the nation. The grants, awarded through the Cooperative Endangered Species Conservation Fund (CESCF), will benefit numerous species ranging from the coastal California gnatcatcher to the Karner blue butterfly. For a complete list of the 2015 grant awards, see www.fws.gov/endangered/grants/index.html. The U.S. Fish and Wildlife Service (Service) announced today the publication of its final Comprehensive Conservation Plan (CCP) and Environmental Impact Statement (EIS) for the San Luis Valley National Wildlife Refuge Complex. The U.S. Fish and Wildlife Service (Service) wants to know what you think about its draft Revised Native American Policy (NAP) with today’s publication of the Notice of Availability in the Federal Register. One of the world’s rarest insects is getting a boost to its recovery. In order to keep this unique insect from extinction a draft recovery plan has been developed by the U.S. Fish and Wildlife Service (Service) that may help keep it from disappearing from the Cornhusker State. The U.S. Fish and Wildlife Service is in the early stages of considering the Endangered Species Act (ESA) listing status of the Yellowstone grizzly bear. 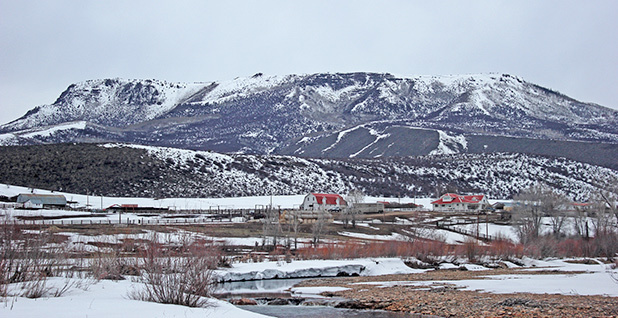 While we recently reached out to tribes near the Greater Yellowstone Ecosystem (GYE), we did not initially appreciate the breadth of historical, cultural, and spiritual connection some tribes outside that area have with the grizzly bear and the GYE. As a result, we at the Service are redoubling our efforts to engage our valued tribal partners who may be interested in government-to-government consultation on this matter. BOISE, Idaho – Efforts to conserve a key cold-water fish species got a boost today when the U.S. Fish and Wildlife Service (Service) released draft Recovery Unit Implementation Plans (Implementation Plans) that will be part of a final recovery plan outlining the conservation actions needed to recover bull trout (Salvelinus confluentus). DENVER, Colo. – The U.S. Fish and Wildlife Service (Service) today recognized individuals and teams for their exceptional efforts to conserve and protect the nation’s rarest fish, wildlife, and plants by designating them as the 2014 Recovery Champions. The Service is once again a proud sponsor of International Migratory Bird Day (IMBD), this Saturday, May 9th. The Service invites people to celebrate and support migratory bird conservation in their local communities and beyond. The 10th annual national Endangered Species Day will be celebrated May 15, 2015, with special events and programs that recognize our nation’s efforts to conserve and protect America’s most imperiled species. The U.S. Fish and Wildlife Service (Service) will hold a series of public meetings focused on explaining and obtaining comments on a revised Comprehensive Conservation Plan (CCP) for the Rocky Mountain Arsenal National Wildlife Refuge. The U.S. Fish and Wildlife Service is requesting proposals for the FY 2016 Tribal Wildlife Grants (TWG) Program. The program provides a competitive funding opportunity for federally recognized tribal governments to develop and implement programs for the benefit of wildlife and their habitat, including species of Native American cultural or traditional importance and species that are not hunted or fished. WASHINGTON – The U.S. Fish and Wildlife Service announced today that it will distribute $1.1 billion in revenues generated by the hunting and angling industry to state and territorial fish and wildlife agencies throughout the nation. The funds support critical fish and wildlife conservation and recreation projects that benefit all Americans. Potholes and Wind Turbines by Krista Lundgren / USFWS. LAKEWOOD, Colo. — The U.S. Fish and Wildlife Service (Service) and Western Area Power Administration have published a final Programmatic Environmental Impact Statement (PEIS), which evaluates the environmental impacts of wind energy development in the Upper Great Plains states of Minnesota, Montana, Nebraska, North Dakota, and South Dakota. The final PEIS, when coupled with project-specific environmental assessments, is designed to standardize the environmental review process while ensuring protection for wildlife and other natural resources in the Upper Great Plains. RENO, NV – The U.S. Fish and Wildlife Service today announced it was withdrawing a proposal to list the Bi-State Distinct Population Segment of greater sage-grouse as threatened because a locally developed conservation plan and $45 million in funding will address the major threats to the species. DENVER-The U.S. Fish and Wildlife Service, through its Cooperative Recovery Initiative (CRI), is committing $5.8 million to 14 projects across 18 states for recovery of some of the nation’s most at-risk species on or near national wildlife refuges. Dell Schanze, age 45, of American Fork, Utah, pled guilty to using an aircraft to harass wildlife and pursuing a migratory bird in U.S. District Court in Salt Lake City Friday afternoon. There was no plea agreement, and federal prosecutors made no concessions to Schanze as a part of his guilty plea to both counts of the Misdemeanor Information. The U.S. Fish and Wildlife Service is seeking public comment on a proposal to designate the State of Wyoming as a special area for the reintroduction of black-footed ferrets, which are federally listed as endangered. The Sage Grouse Initiative regularly features its many partners as part of its Featured Friend series. They recently honored the USFWS Partners for Fish and Wildlife Program, which helps to fund many of SGI's field staff, and also works with SGI in the field by carrying out conservation projects with private ranchers. The U.S. Fish and Wildlife Service announced today it is protecting the northern long-eared bat as a threatened species under the Endangered Species Act (ESA), primarily due to the threat posed by white-nose syndrome, a fungal disease that has devastated many bat populations. News Release | Interim 4(d) FAQ | Listing FAQ|Buffer Zone and Range Map for Northern Long-eared Bat | Species Factsheet | Do I need a permit? The U.S. Fish and Wildlife Service today announced nearly $4.2 million in Tribal Wildlife Grants to Native American Tribes in 13 states. The awards will support conservation projects that benefit a wide range of wildlife and habitat. A coordinated, partner-driven campaign to bring public attention to the dramatic conversion of grasslands and wetlands to cropland in one of America's last intact grassland ecosystems - the prairie pothole region. Once the most-endangered mammal in North America, black-footed ferrets are on the road to recovery. Together with our partners, we are working on reintroduction efforts & to maintain the captive population while minimizing the loss of genetic diversity. The U.S. Fish and Wildlife Service supports efforts to keep the greater sage-grouse off the endangered species list by protecting its habitat to increase sage-grouse numbers.